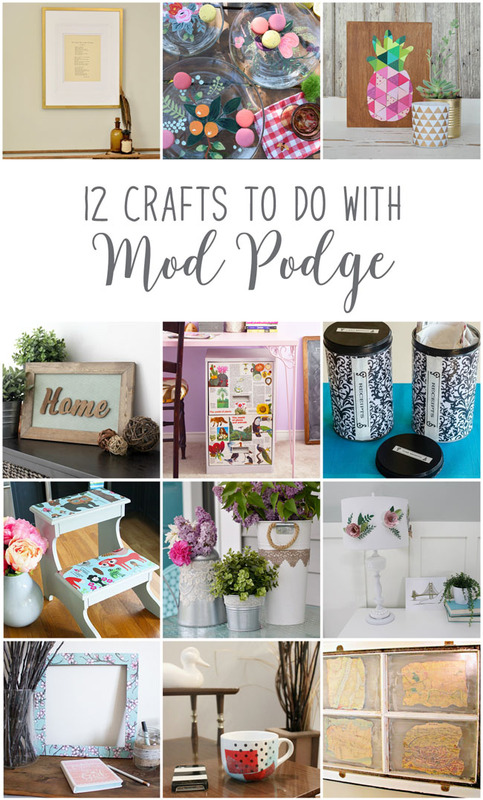 The material that we (the participating #12monthsofdiy bloggers) chose for this month's project is Mod Podge. Funny thing though, my diy this month also incorporates two materials from previous months - namely Fusion Paint (seen on the table in this post) and another thrifted, secondhand item (like the lamp and bookends in this post). Plaid Enterprises was kind enough to send me some Mod Podge for this post. Can you believe I had never tried any of their products before? 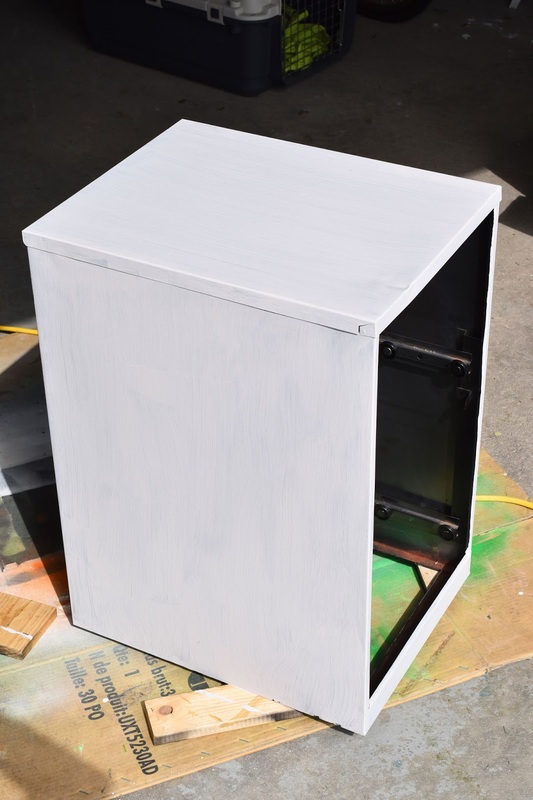 I bet you my next project will have Fusion Paint, a thrifty treasure, Mod Podge and whatever our next material is! For our Mod Podge month, I knew right away just what I wanted to do. And it cost me nothing for the base materials. I had this old metal filing cabinet sitting unused in the basement. I also have one that's just the same in my home office and, now that I've embarked on another de-cluttering session, I figure I should shred enough old papers to ensure I only need one filing cabinet. 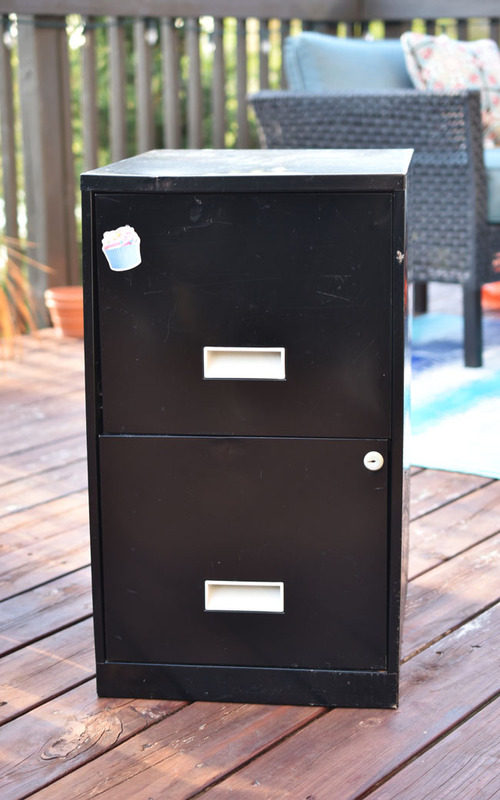 I wanted this filing cabinet to go to my 11-year-old daughter. 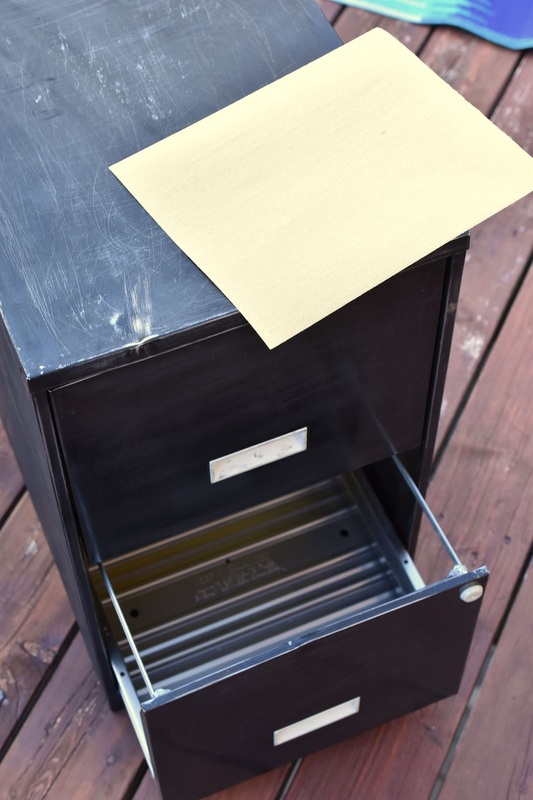 You might well ask, especially in this electronic age, "Does a preteen need a filing cabinet?" My daughter does. She has early onset chronic genetic paper hoarding tendencies. Symptoms of this "illness" are displayed by her mother (hello!) and both of her mother's parents (it's not just a female disease). My little gal loves to cover pages and pages of white paper with drawings, poems, clothing designs and lists. And then she likes to toss them on the floor. Plus, there are artwork, tests and school assignments she likes to keep. I bought a couple of giant packs of hanging folders and file folders at Costco to organize my own (significant) collection of papers. There are plenty of folders left so that my daughter can organize her own papers to her heart's content. Seeing as we have been re-decorating her bedroom, I figured we better pretty up this old filing cabinet before it enters her preteen sanctuary. We started by sanding the exterior with 60 grit sandpaper. Easy peasy. Then we wiped off the surface and removed the drawers. 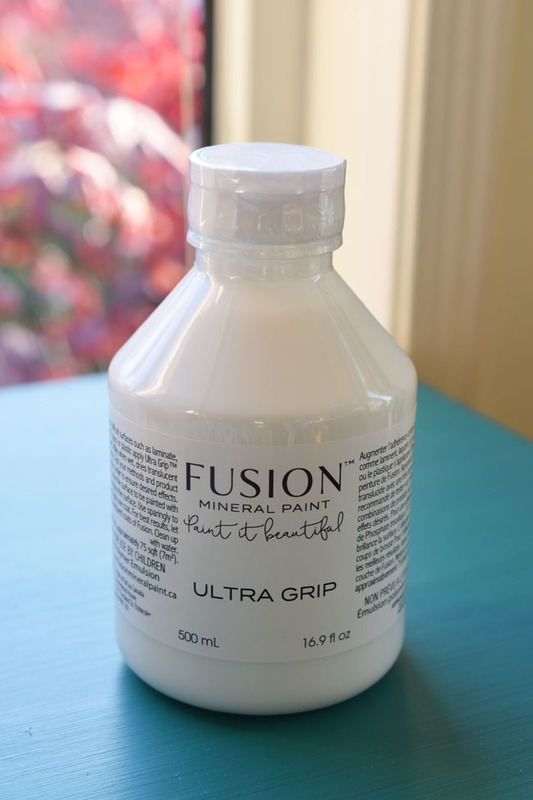 To ensure that our chosen paint would adhere, we (hubby and I) applied Fusion Mineral Paint's Ultra Grip. It's very quick and easy to apply (with a brush). 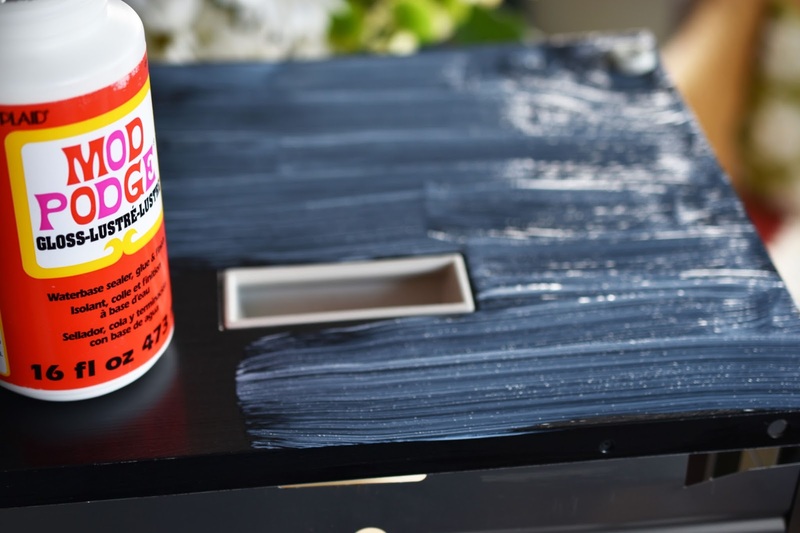 This extra step helps to ensure the paint will grip the surface and withstand wear and tear (necessary in this particular room). 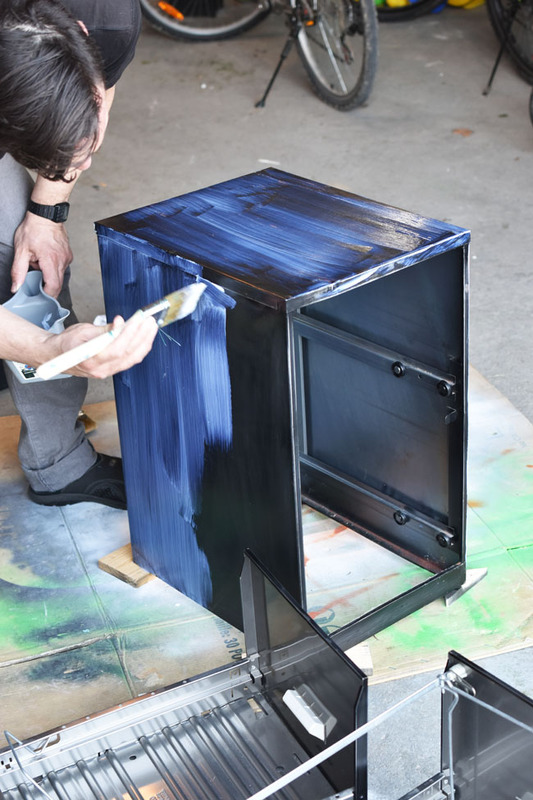 Fusion's Ultra Grip is a water-based emulsion that increases the adhesion of Fusion colours to glossy, hard-to-grip surfaces. It's milky when wet so you can see where you've applied it, but then it dries translucent. Then came the paint. I'm excited to be among the first people to try Fusion's new line of paint. The Tones For Tots line pays tribute to Fusion president Jennylyn's first child, Taylor. 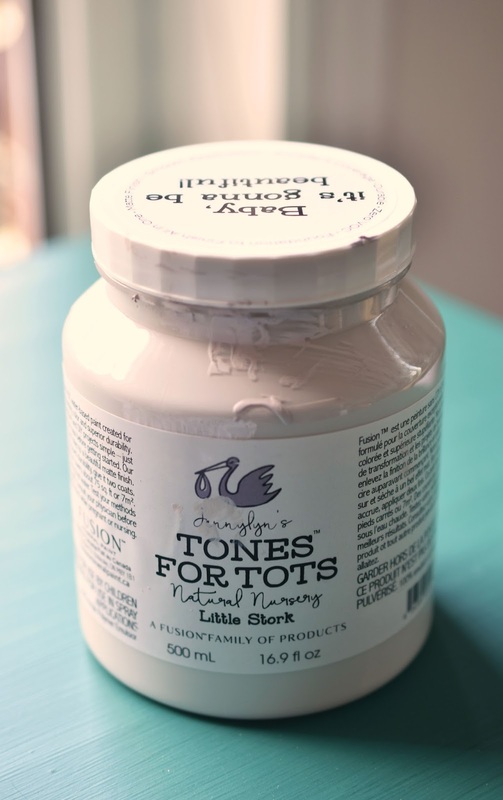 The collection of zero VOC paints for nurseries (and whatever other uses you can dream up) doesn't contain harmful toxins, so it's safe for you and your little ones. Plus the colours are lovely and the paint goes on just as beautifully as Fusion's other paints. 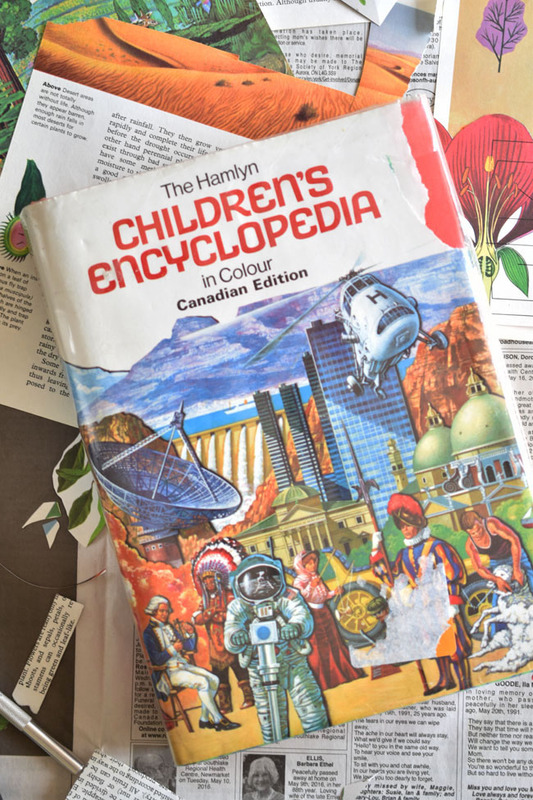 I wanted to decoupage the filing cabinet drawers in a fun, kid-friendly motif, and I had been looking for something to do with this Hamlyn Children's Encyclopedia, Canadian edition, (1972). My sister gave this book to my kids and I was loath to tear up a vintage book, but one of my dog's had chewed the cover, thus forcing me to think of ways to re-purpose it. The most difficult part of decoupaging the drawers (which were primed using Ultra Grip) was deciding which pictures to cut from the book and where to place them. Once the layout was established, it was time to use the Mod Podge! I was a smidge nervous, having never used this waterbase glue and sealer before. 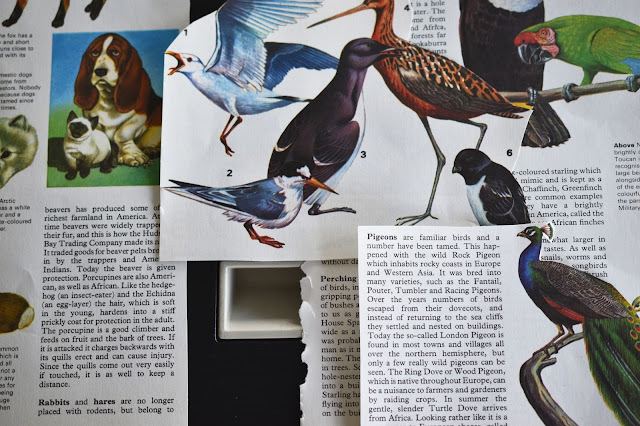 Being a Mod Podge newbie, I watched a couple of videos about how to use Mod Podge properly. 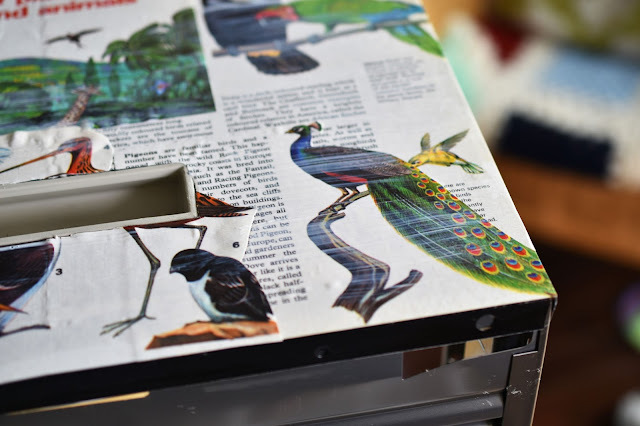 Essentially what I learned was to apply a thin layer of Mod Podge (using a small, 1-inch brush), arrange your paper on top, smooth it out carefully and then allow the bottom "glue" layer of Mod Podge to dry before applying Mod Podge on top as a "sealer." Once I applied the paper, I also used an X-Acto knife to trim around the drawer pulls and the keyhole. When I applied the sealing layer of Mod Podge I was a bit alarmed because bubbles started to appear in my paper. I found this occurred more often where layers of paper overlapped. It would be best (although more difficult) to lay them side by side rather than overlapping. 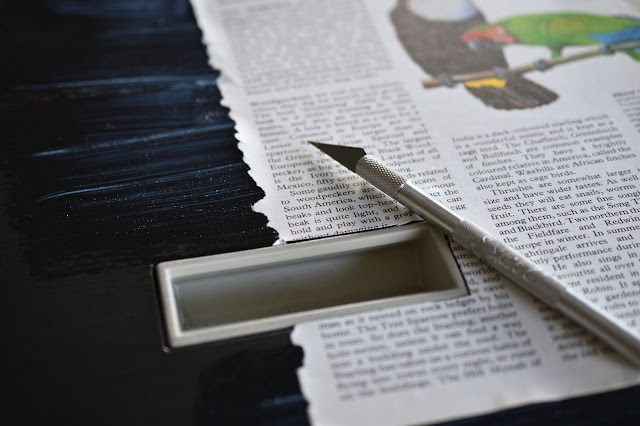 Blogging friends have since recommended using a brayer or wallpaper squeegee to smooth the paper. In any case, once the Mod Podge top layer dried, many of the bubbles disappeared and I find the few remaining bubbles are not noticeable. 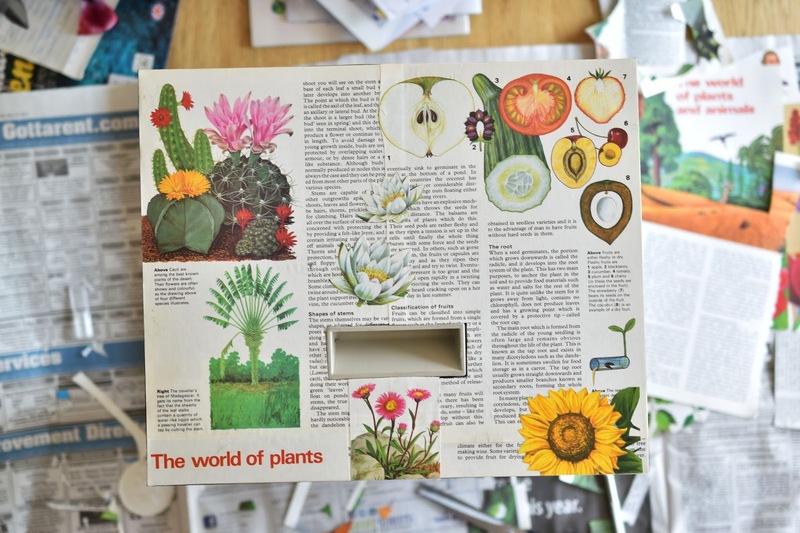 This is the top filing cabinet drawer (with a theme of "the world of plants") all completed. You can actually read about some of the plants and flowers depicted still, so I think it's sort of sweet and fitting for a homework desk. The bottom drawer is "the world of plants and animals," because what kid doesn't love animals? 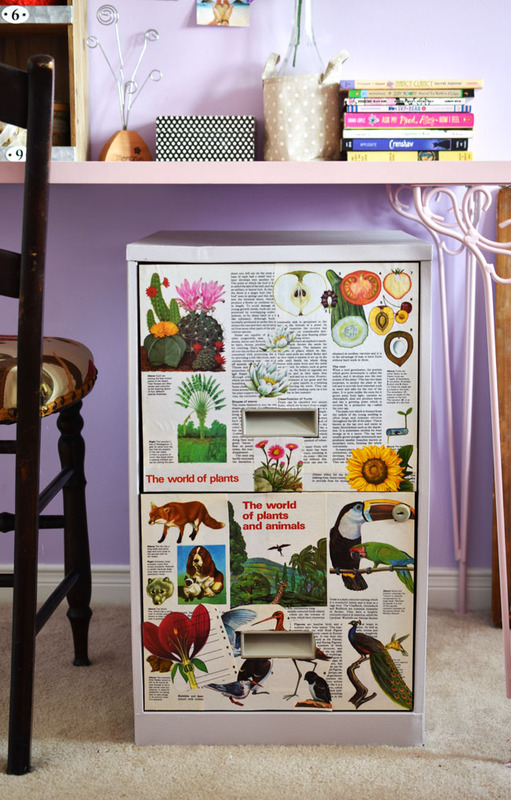 I think this whimsical filing cabinet makeover is suitable for a preteen room. We tend to have less fun with decorating as adults, don't ya think? I want my girl's room to be peaceful, relaxed and fun. 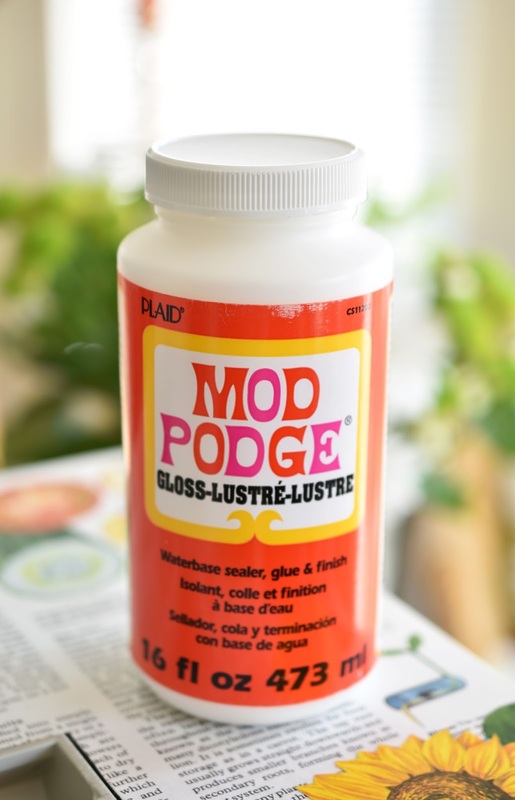 Have you used Mod Podge before? What did you make? Share your Mod Podge projects on Instagram using the hashtags #12monthsofdiy and #MayModPodge for a chance to be featured. 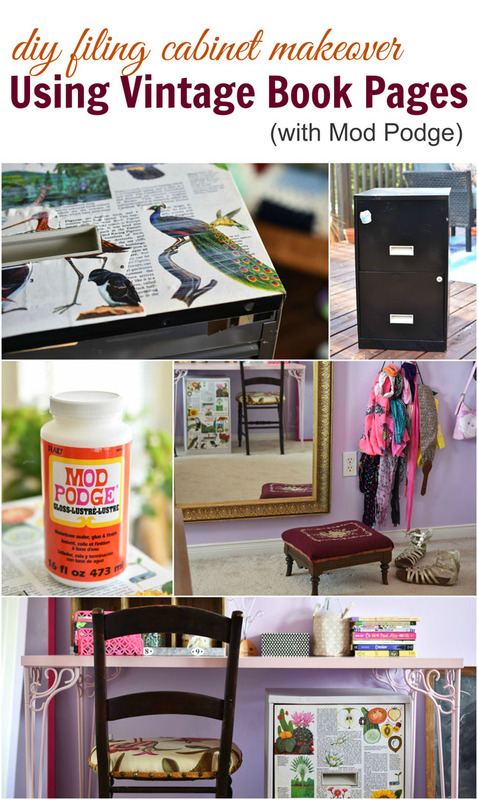 Now it's time to see the rest of the DIY Mod Podge project ideas from my Canadian blogging friends! This month's projects are downright adorable. Check 'em out! How To Use Mod Podge - A Beginner's Story from Vin'yet Etc. *I received products to facilitate this post. All opinions are authentic and my own. Thanks for supporting the awesome companies that partner with Woman in Real Life. This has turned out amazingly! I love it! I have a huge filing cabinet hidden in our utility room... this is a real possibility! Excellent job and a tidy room, even if just for a minute, looks amazing! ohhh that is beautiful! I used Mod Podge for some decoupage type project years ago and the advice was the same about doing the base layer first then the topcoat (over the papers_ when the base has dried. I did a project with a wooden clipboard and made it look all nice, then realised later on that you can't even see the prettiness when it's always covered with paperwork! This is so cool! I LOVE the idea of using the vintage pages. It turned out great! Joann - this is stunning!!! I love how you used a childrens encyclopedia for this project. The illustrations are gorgeous. 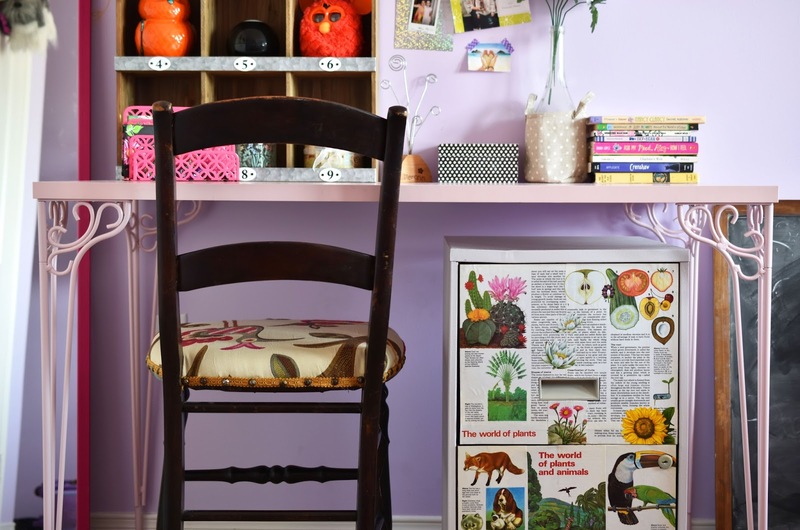 What a creative idea for decorating a filing cabinet. 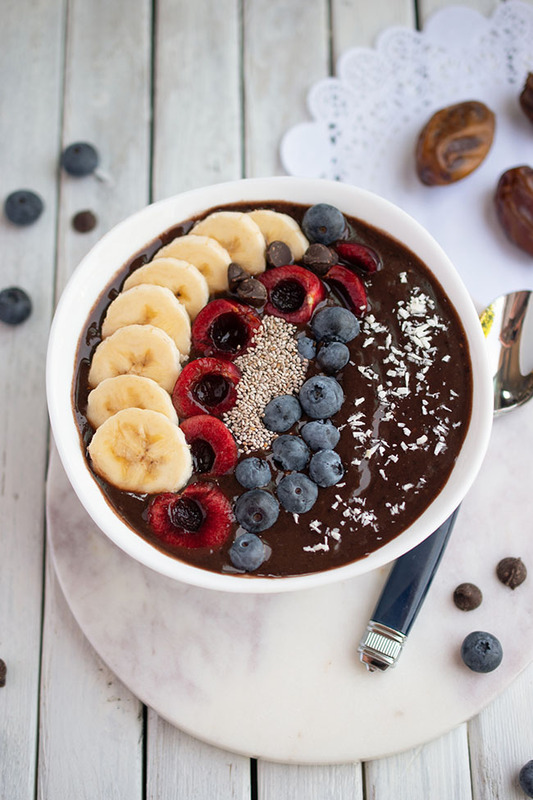 You really took it from basic to WOW! What a fun makeover, and I love your old book pages, such fun vintage pictures. 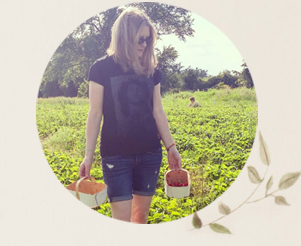 Really cute project.